Fox News has hired Donna Brazile, the former Democratic National Committee chairwoman, as a contributor, the company said in a news release on Monday. Brazile had been a contributor for CNN but was dismissed after reports emerged in December 2016 that she gave advance information to then-presidential candidate Hillary Clinton about questions she would face during a televised town hall aired by the cable news channel. Brazile initially denied the accusation but later admitted to sharing topics, calling it "a mistake I will forever regret." In an op-ed article on FoxNews.com, Brazile wrote that she hoped to improve the tenor of political debate. “Will I agree with my fellow commentators at Fox News? Probably not. But I will listen," Brazile wrote. The move comes as Fox News faces criticism from liberal politicians as well as President Donald Trump, whose administration is closely tied to the cable news channel. The president over the weekend tweeted about two Fox News weekend anchors, Arthel Neville and Leland Vittert, asking if they been "trained by CNN" and stating that they should be working at CNN along with Shepard Smith, Fox News' weekday news anchor. Trump also urged the channel to put Jeanine Pirro back on the air. Pirro did not appear on her regularly scheduled show on Saturday after Fox News reprimanded her for questioning the loyalty to the Constitution of Rep. Ilhan Omar, D-Minn., due to her religious beliefs. Omar is a Muslim and the first woman to wear a headscarf in Congress. "Stop working soooo hard on being politically correct, which will only bring you down, and continue to fight for our Country," Trump tweeted. Fox News has been under considerable pressure from mainstream U.S. media and politicians for its ties to the Trump administration as well as the comments of some of its hosts. The left-leaning activist group Media Matters recently published radio interviews featuring Fox News host Tucker Carlson that were broadcast from 2006 to 2011 in which Carlson made demeaning remarks about women and Iraqis. Carlson was a host on MSNBC from 2005 to 2008. He has also worked for CNN and PBS. Scrutiny of Fox News reached new heights recently after its ties to the Trump administration were the focus of a recent article in The New Yorker. The DNC said it would not allow Fox News to host a 2020 Democratic presidential primary debate due to the company's relationship with the Trump administration. 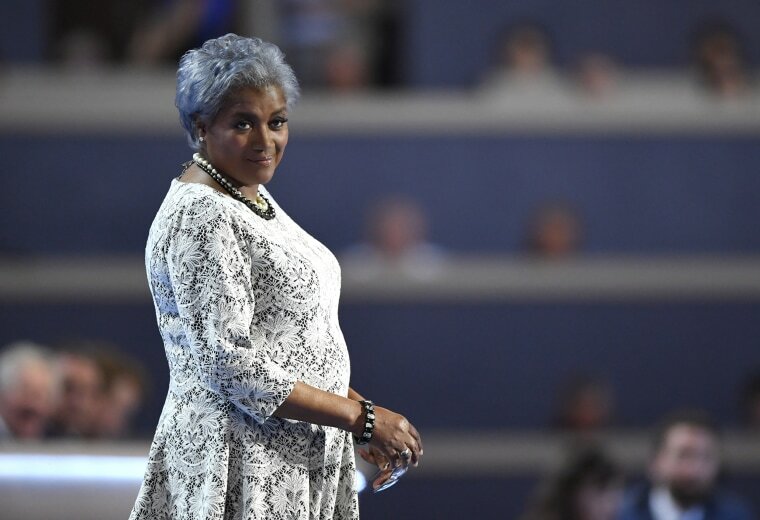 Brazile adds a liberal voice to Fox News at a time that Democrats have regained some power after winning a majority in the House of Representatives. After The New Yorker article, House Oversight Committee Chairman Elijah Cummings, D-Md., called for a former Fox News reporter to discuss allegations that the cable channel killed a story about Trump's hush money payments to adult film star Stormy Daniels. The reporter, Diana Falzone, has said she will discuss the matter with the committee and provide document related to the allegation.